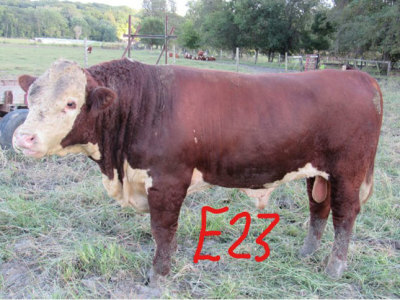 Good solid bull which is above average in traits for the commercial producer. This ON TARGET son with a DAM of DISTINCTION cow is destined to produce growthy calves with desirable baldy maternal females or a good carcass as indicated by the CHB trait. EASTON’s average daily gain was 4.38 lbs./day.